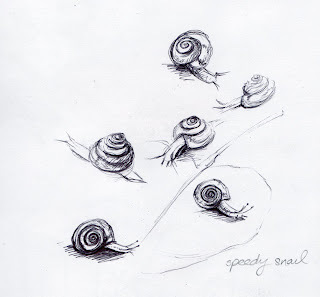 Love the zippy snail sketches. Ooh, those leaves are so pretty! 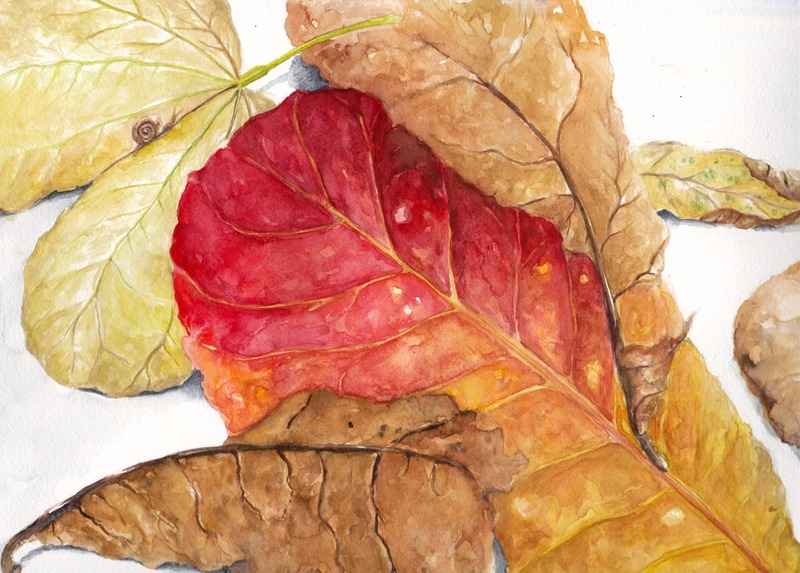 The colors are gentle, yet strong and earthy too. I like how my eye moves through the veins and lines. Very nicely done! You did a fabulous work with these leaves ! This sure doesn't look like you got un-inspired! Very pretty colours and cute timy snail surprise in it! Great snail sketches too. The leaves are gorgeous and the little snail inside is a delightful find! I love that. You always have an eye for composition, without being obvious... it's what makes your work sing! The curves in the snails are wonderful. I love seeing the shading you do as you trail along. I always learn from your work.